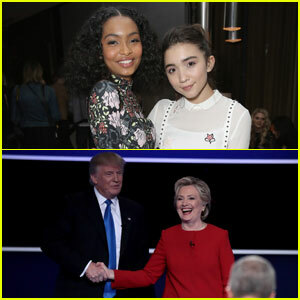 Storm Reid & Rowan Blanchard Speak On Stage At ‘Teen Vogue’ Summit | AJ Michalka, aly & aj, Aly Michalka, Ava DuVernay, Ava Phillippe, Chloe X Halle, Hillary Clinton, Lilly Singh, Rowan Blanchard, Storm Reid, Yara Shahidi | Just Jared Jr.
Storm Reid and Rowan Blanchard share the stage while attending the Teen Vogue Summit LA on Saturday (December 2) in Playa Vista, Calif. 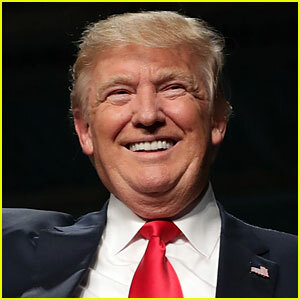 The young co-stars were joined by their A Wrinkle In Time director Ava DuVernay, as well as their co-star Reese Witherspoon‘s daughter Ava Phillippe. 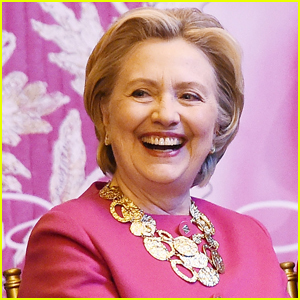 Also in attendance were Yara Shahidi, Aly & AJ, Lilly Singh, Chloe x Halle, and Hillary Clinton. 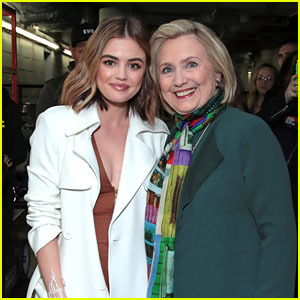 Yara also interviewed Hillary during a keynote conversation at the event. FYI: Rowan is wearing Repossi jewelry. Storm is wearing a Ji Oh outfit and Rebecca Minkoff boots. Yara is wearing a 3.1 Phillip Lim top and pants, Jimmy Choo shoes, Young Frankk earrings, and an Eriness necklace and rings. Ava is wearing a L’Agence dress, Malone Souliers shoes, and Lady Grey earrings. Chloe and Halle are wearing Missoni. 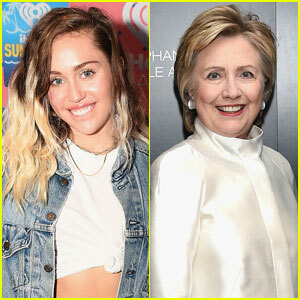 Miley Cyrus Tears Up While Writing Emotional Thank You Letter in Front of Hillary Clinton - Watch! 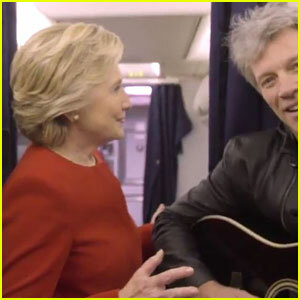 Hillary Clinton, Laurie Hernandez, Logan Paul & More do the Mannequin Challenge! 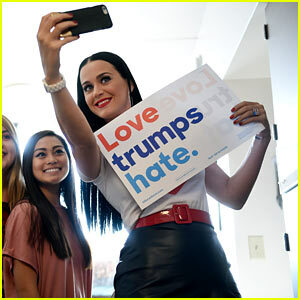 Katy Perry Went Back to College to Campaign for Hillary Clinton! 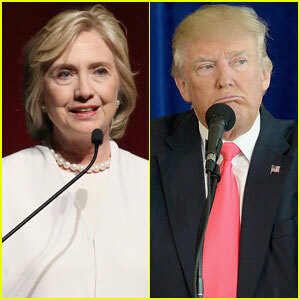 Presidential Debate 2016 Live Stream: Watch Hillary Clinton vs. Donald Trump Tonight! 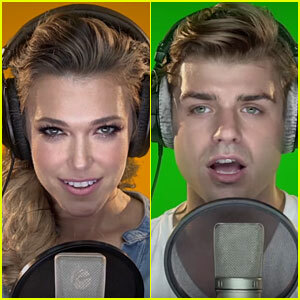 Rachel Platten Sings 'Fight Song' with Lots of Celebs for Hillary Clinton Campaign!